Besides the turquoise waters, white sandy beaches, burning sun, colourful, open-hearted and passionate people the music, rhythms and dances form an integral part of Caribbean history, life and spirit! One might even say all the ease, passion and sensuality of the Caribbean finds its most eminent and for the visitor eye-catching expression in all the colourful and vibrant rhythms and dances which are abundant everywhere. On the other hand feeling and dancing some of these rhythms is arguably the most direct, intensive and fun way for visitors to get a taste of this very passion for life. Crazy Salsa offers you a wide spectrum of Latin Dance Classes, giving you the right feeling and moves for the music – to enable you to get your taste of the passion! 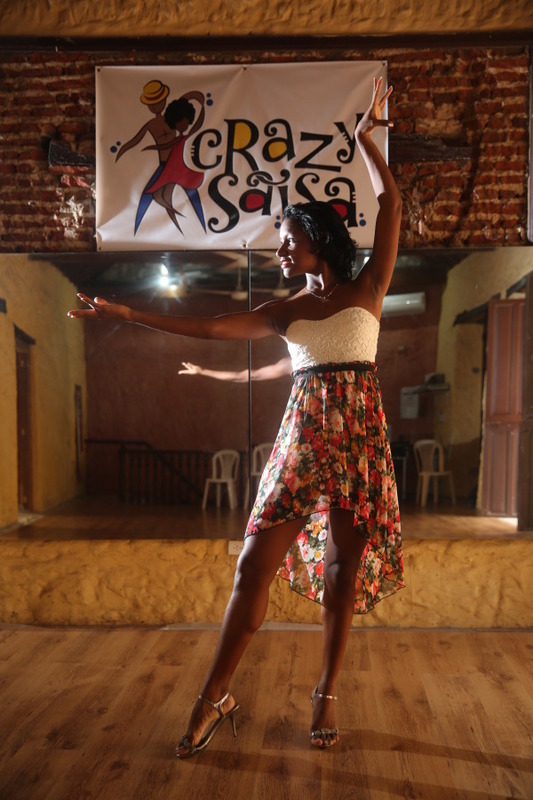 The majority of our classes and workshops are specially designed for beginners who want to learn to distinguish the different music styles, feel the different rhythms and learn the basic steps to be able to dance at the various venues in Cartagena and around. Feel the energy and joy of latin dancing – for everybody who wants to taste and experience the delight of Caribbean dancing and for those who just wanna get some basic moves to start out to one of the hot and unforgettable Cartagena nights. It might be the most changing experience for you in Cartagena and the longest-lasting souvenir you bring home! Combine your Salsa classes with a Spanish course: We offer special packages together with the renown BABEL International Language Institute Cartagena – visit www.babelschoolcartagena.comfor more information.